Last week, I spent an enjoyable day at the Jaffa Port as part of DLD, primarily attending the IGT Cloud Summit, which brought together all the Who’s Who in the SaaS world – primarily in Israel, but also some esteemed guests from abroad. 1st place: Licensario – helps SaaS companies optimize their pricing plans by dividing them into feature building blocks. All three are worth taking a closer look at. For SaaS companies, Licensario allows you to hone in on which features your users really need and will cause them to upgrade to a higher-priced solution (or a paid solution from the free version). Applango is targeted a medium- to large-enterprises that are using enough SaaS applications in-house that their IT staff needs a way to manage them, to easily provision/ de-provision licenses and to help users get comfortable using and acquiring new cloud-based services. And Garantia… well, to quote from their site, “Infinitely scalable Redis and reliable Memcached in a fully automated cloud service.” You take it from here. Besides growing a very impressive business at LivePerson, which entailed acquiring several Israeli companies and expanding his Israeli presence to encompass nearly his entire R&D team, Rob had some strong advice to Israeli companies: forget about Startup Nation. Think big and global. We should stop being proud of all of our startups and start focusing on how to grow these companies into global, successful companies. And when faced with the typical inferiority complex of “we’re such a small country,” then look to countries like Singapore for inspiration – one of the smallest countries in the world, yet with a world-class airline, world-class telecom operator and so forth. There is no reason Israel can’t be a Singapore. Rob, you are so right. Keep on preaching…if we hear it enough maybe one day Israeli startups will get big-company fever. The other presentation I would like to highlight is a fabulous case study presented by Ben Jesson, Co-founder and CEO of Conversion Rate Experts, in which he explained how his firm helped one of its clients – Crazy Egg – increase its revenue by 510% by making a series of changes to its Web site. This was not a presentation about “here are the things you should change on your Web site,” but rather a methodology for how to approach diagnosing what is wrong, and experiments that can be tried to improve the situation. In other words, if you are expecting your webmaster to do this type of analysis, and then achieve these types of improvements in your own site conversion, you are probably dreaming, since most webmasters are techies, not marketing/sales people who can pick up the phone and try to sell your solution to potential clients (OK, not all webmasters, just most). Heck there are a lot of marketers that would balk at trying to sell, even in the name of improving their marketing. Back to the point: through these research methods, they were able to determine four key sales objections that were hindering conversion. These objections were not being dealt with on their client’s site, so they set about adding content to the site that handled the objections. One way they found to create this content was simply by doing an inventory of all of the PR and marketing material in use by the company, and making sure it was reflected somewhere on the Web site. Think about it: a typical company that generates a few PRs a month and has a handful of sales reps, each adapting the main company presentations to his or her own needs. Over the course of a few months or years, a ton of material has been generated, nearly organically. Of course the marketing control freak might say “ack! I’ve lost control with all this random content floating around,” but the more positive way to look at it is, “hey, this is stuff that is working, let’s use it, and make sure it is reflected on our Web site,” so this is what Conversion Rate Experts did. The end result of all this research and the conclusion of the four sales objections was a series of online experiments in which they tested various changes to their Web site. In the end, they went from a very short home page to a super-long home page that just scrolls & scrolls and scrolls, nearly endlessly. So who says keep your Web pages short? Keep ’em whatever length converts the best. If your customers need lots of explanations to convince them, then you may need more than the traditional Launchrock landing page. I found a write-up of this case study on Conversion Rate Experts’ blog, which of course makes sense since if you’ve got great content, you should leverage it in every possible medium! There’s a lot more detail in the write-up, and hopefully Ben will post his slides shortly. But the key takeaway as far as I’m concerned is that the process of “fixing” their client’s Web site was lots of little things that added up to one huge thing. And the way they figured out those little things was through old-fashioned analysis of the sales process, together with some very sophisticated online testing. It’s not easy to organize a 300-plus person conference, and bring the caliber of speakers that the IGT Cloud was able to do (besides the people I highlighted there was a keynote by Dr. Werner Vogels, CTO and VP of Amazon, Rob Craft, Sr. Director Cloud Platform Strategy at Microsoft, and others.) Before the conference began, I pointed out to Avner Algom, head of IGT Cloud, that there were not any women speaking at the conference, and I still think that for next year IGT should set itself a goal of increasing the number of X-chromosomes on stage. There are plenty of top notch women doing incredible things in the SaaS world. Most may be too busy to put themselves out there to volunteer to present at a conference, but with the right personal invitation, they could be convinced to share their valuable insights with the rest of the SaaS community. That said, it was an incredible conference, and I was happy to be able to part of it, to learn from the speakers, and network with the attendees. 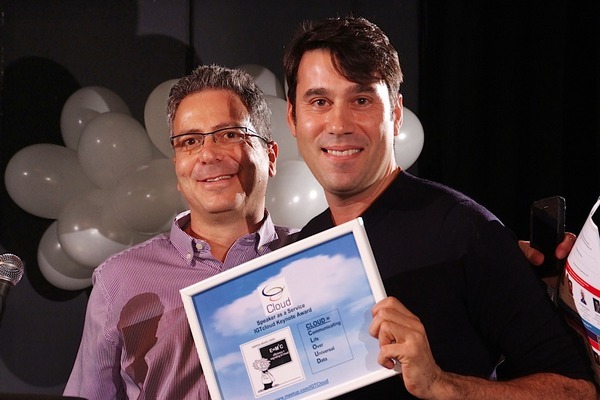 So, thank you Avner, for turning the SaaS industry in Israel into a true community.